People keep asking why the WinSxS directory uses so much space. And how they can shrink it. Blog article by the Windows Servicing Guy, who says not to mess with WinSxS manually ... and why. TheWindowsClub explains WinSxS (be sure to read the whole article). This e7 blog article talks about how WinSxS takes up less space than it looks like. Windows Servicing Guy says your Windows partition should be at least 40GB in size. And why. KB2795190 shows how to shrink WinSxS safely, on Vista and Win7 - using commandline tools. 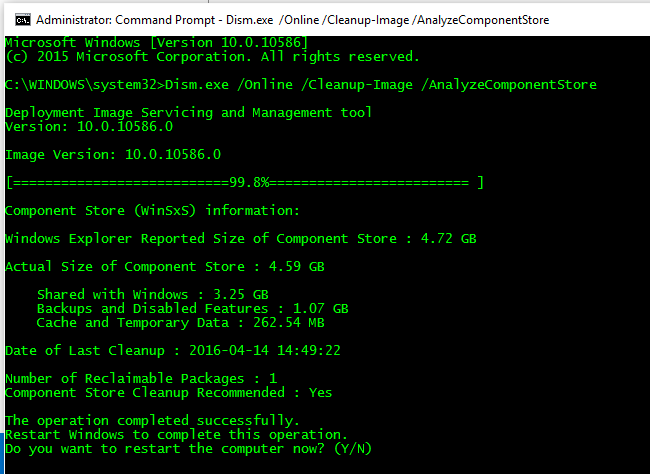 KB2852386 discusses using the gui Disk Cleanup tool to shrink WinSxS on Win7 and 2008R2. Technet article for shrinking WinSxS on Win8.1 and Win2012R2.